The boy next door Rajkummar Rao is all set to woo his neighborhood crush and nikkar ke zamane ka pyaar Shruti Haasan. The story of love that blossoms in every Indian mohalla (colony), relive the time when your neighbour was your first love/crush and your family called her your Behen. Enjoy this journey of love and laughter. Do you think the hero will ever gather enough courage to tell his neighbours – Behen Hogi Teri !! A story of two seemingly ordinary individuals, going about their lives until they meet and realize that they belong with one another. Drawn to each other, Shiv and Saira are unaware of their connection forged several hundred years ago. Enjoy the rollercoaster of love, intrigue, entertainment and life of Shiv and Saira. Deepika Padukone sizzles in the title song of “Raabta”. Song Main Tera Boyfriend has hit the chord with people and become The Party Number of The Season. 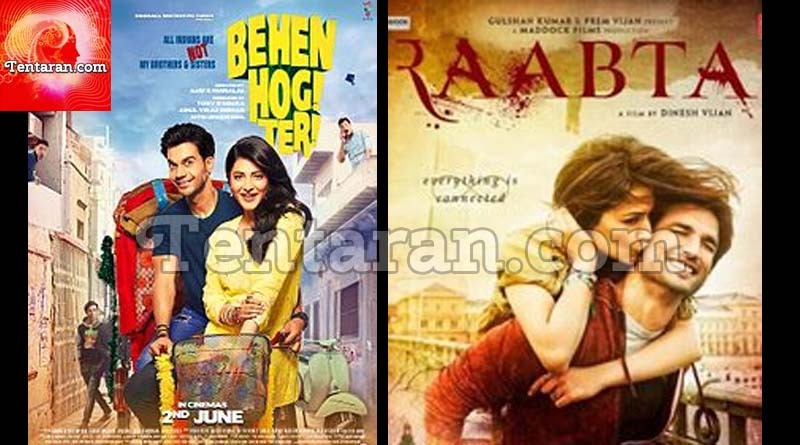 Waiting for release of these movies eagerly.